Four Seasons Local Market began in the summer of 2016 as a meeting of four families around a dining room table discussing how to best reach the summer market consumers through all four seasons of the year. 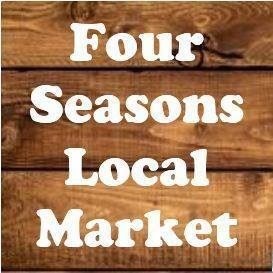 The vision evolved into Four Seasons Local Market at 216 East Main Street in Crawfordsville. The market offers beef, pork, lamb, chickens, eggs, and a variety of homemade baked goods. We pride ourselves on offering our customers the opportunity to ask questions, try new things, and build a relationship with their farmers and bakers. We also showcase products from various other local producers rounding out our offerings and making sure we have something for everyone wanting to support local food production and see the local faces making and growing your food.